The FIRST RULE of measuring fishes: KNOW WHY YOU MEASURE. What measurement are you seeking? Total length, standard length, fork length, head length, snout length, body depth, girth, etc..
Do your measurements need to contour to the shape of the fish? (Most do not). Know the minimums and maximums of the fishes set by your local regulators. Use an appropriate measuring tool. The THIRD RULE of measuring fishes: BE RESPECTFUL to the fish you are measuring even if you are keeping the specimen. Wet your hands before touching the fish. Many fishes have specialized mucous membranes surrounding and protecting their dermal (skin) layers; dry hands will more easily remove their mucous. Avoid using nets and gaffs, especially for a fish you plan on releasing. Ideally, a fish to be released should not be taken from the water; that is difficult to do in most situations. Large species, like many sharks, do not do well onshore and on a boat's deck. Sharks do not have ossified bones, therefore, outside of water, their bodies collapse on their organs - that is unpleasant and dangerous for them. Be swift. Most fishes are reliant upon their gills for respiration. Even though fishes breath oxygen, the filaments of their gills collapse on one another outside of water, rendering the gills practically obsolete. Always set the fish flat and close the mouth. Head length is measured from the tip of the snout or mouth, whichever is most anterior, to the most posterior portion of the operculum (gill plate) OR to its dorsal articulation with the cranium (where the gill plate meets the top of the fish). Snout length is measured from the tip of the snout or mouth, whichever is most anterior, to the most anterior part of the eye or orbit. Body depth is not girth. 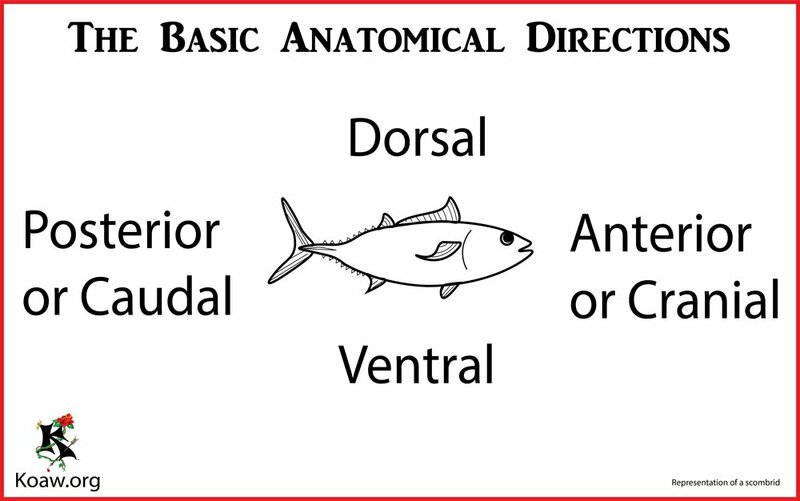 Body depth is the maximum distance (find where the deepest vertical measurement can be made) between the dorsal and ventral portions of the fish. This is a vertical measurement. Girth is a contouring measurement (it takes the shape of the fish) to find the maximum circumference around the body. Total length is measured from the most anterior part of the fish, be it the snout or mouth, all the way to the most posterior part of the caudal fin. This is a horizontal measurement, not to be measured at an angle. Fork length is measured from the most anterior tip of the snout or mouth, which is most anterior on the fish, to the most anterior part of the central caudal rays. The standard length measurement is taken from the most anterior part of the fish, be it the snout or mouth, to the most posterior part of the last hypural bone. This is found by bending the caudal fin and noting the crease.